Space requirements for new machinery and upgrades are often a major concern when investing in costly new machinery on the factory floor. Ideally industry clients would like to see how new machinery would look on their production lines to ensure the new setup is efficient whilst still remaining ascetically pleasing. Wanting to meet this demand, the world leader in sheet metal fabrication machinery, industrial lasers and electronics TRUMPF turned to Augmented Reality to project Trumpf machinery into customer plants in full-scale. 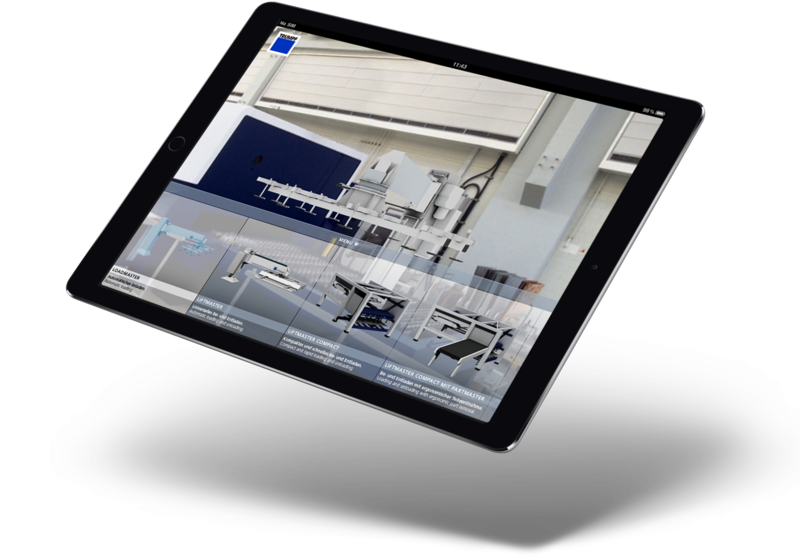 Developed specifically for Trumpf, the Augmented Reality iPad app can be used to place Trumpf machinery into any location at full-scale. Simply choose an automation product and point the iPad to your desired location and it will appear on screen to scale. To upgrade existing products just choose the matching mounting parts and they will upgrade themselves to the existing machinery. 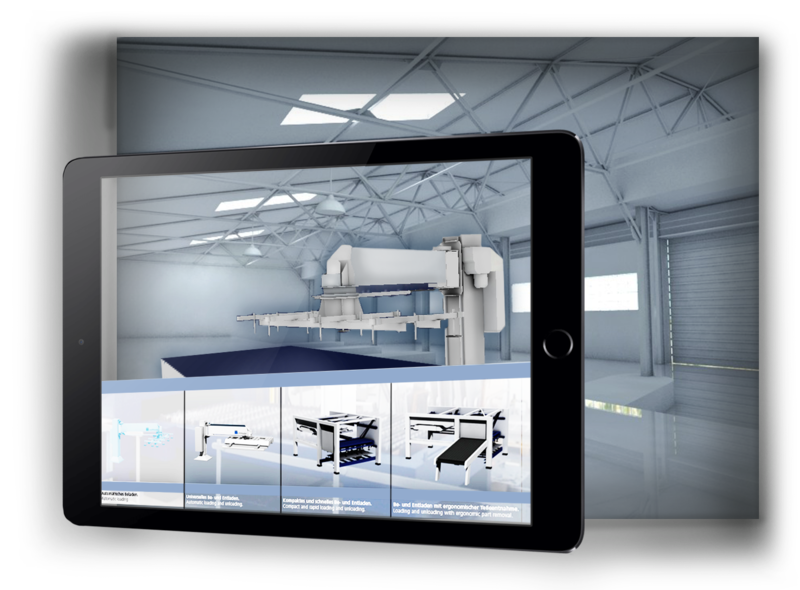 As well as the innovative tool for visualization, Trumpf also offers an app that gives sales teams the ability to allow for on-site facility planning, scrutiny of material flows and optimization of workflows by the customer.